When it comes to making personnel decisions in the workplace, you must consider and abide by federal laws that protect employees and applicants from unfair practices. With an individual’s awareness and consent, an employer can request an employee background check. It is common for employers to want to investigate into their employees past when considering actions such as hiring or promotion. For instance, researching one’s personal educational achievements, work accomplishments, and criminal records are all pieces of a puzzle that provide a deep understanding of who an individual is. 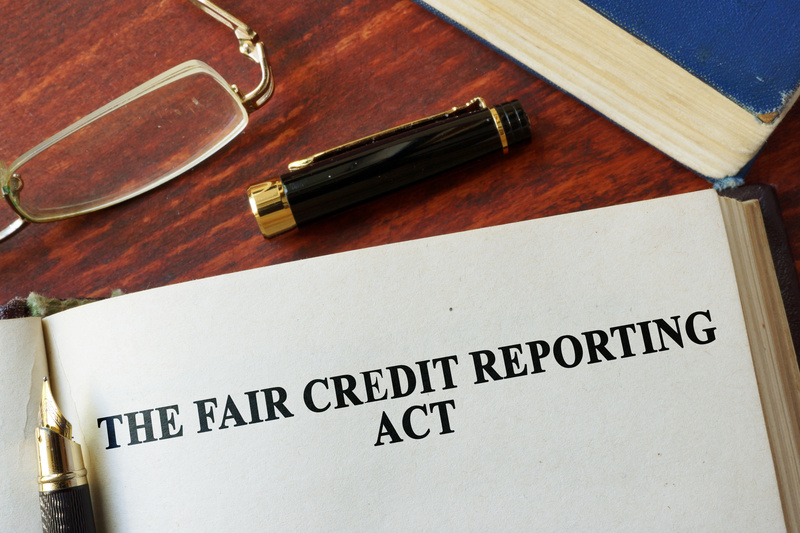 When you run background checks on an individual, you must remain compliant with the Fair Credit Reporting Act (FCRA). The FCRA is a federal law that regulates credit reporting agencies (CRA) by ensuring that credit information obtained is both accurate and distributed fairly. The FCRA’s main objective is to guarantee that information acquired is not used for unjustified purposes. The law applies to banks, credit unions, and business that obtain credit reports for hiring or promotional purposes. According to the FCRA, the only adverse data agencies are permitted to disclose from background checks are convictions that occurred within the last 7 years. Lastly, you should review applicable laws of your state regarding background reports because some states regulate the use of that information for employment determinations. Essentially, the law exists to protect consumers from misinformation being used against their favor. If an employer requests and receives background information, there are several FCRA requirements. The applicant must be made aware that the information obtained might be used to make decisions regarding potential or current employment. This written notification must be clearly stated in a stand-alone document and given outside of the employment application. Applicant or employee must sign an agreement to allow an employer to conduct a background check. If you wish to conduct background checks throughout your employee’s career, you must clearly state and effectively communicate your intentions. When requesting an investigate report, such as personal references, personal characteristics, general reputation and lifestyle, you must make the applicant fully aware. The applicant must have a full understanding of the scope of the investigation and give permission. Do not discriminate against the applicant or employee, or misuse information obtained by violating federal or state equal opportunity laws or regulations. The FCRA defines taking adverse action as “a denial of employment or any other decision for employment purposes that adversely affects any current or prospective employee.” The FCRA also describes the term “adverse action” to broadly extend to “any action taken or determination that is made about an application that was made by . . . any consumer” and that is “adverse to the interests of the consumer.” Conclusively, employers must follow certain requirements if they intend to take “adverse action” against a job applicant or current employee. Prior to an employer taking adverse action against an individual, a “pre-adverse action” notice must be given. This notice should include a copy of the consumer report and the Consumer Financial Protection Bureaus Summary of Rights. This gives the employee the opportunity to explain and discuss the findings before adverse action is taken. If an employer still sees the need to take adverse action, then the employee must be provided with an “adverse action” notice. A full disclosure reiterating the applicants or current employee’s rights to obtain a free disclosure of the report used to make the adverse decision, this should be provided within 60 days. A statement explaining the applicants or current employee’s rights to dispute incomplete or inaccurate findings with the CRA directly. The FCRA does not clearly state how long in between the mailing of the pre-adverse action and adverse action notices. However, a standard time duration is believed to be five business days or longer. The background screening process is far from simplistic. On top of knowing how to interpret background check results, properly storing this data is essential to staying compliant and organized. Companies like Origin have listened to your frustrations and have orchestrated a solution. They have transformed the background screening process to a pass or fail grading scale structure. Meaning, you can assign weight to the categories that mean the most to you and less weight to those you find less important. For instance, if you do not wish to see any misdemeanors such as traffic tickets, then those cases can be dismissed. This grading system leaves the extensive analyzing process to the experts and allows you to make executive decisions based off the results you are looking for. Origin can store your results while adopting a paperless system that eliminates tedious tasks. Get to know your applicants and current employees like the back of your hand by trusting Origins elite software and experienced staff.